There are a lot of things going on this Earth Day around town, here’s just a few! Down at the Grandin Village there will be a huge Earth Day celebration! From 11Am til 3Pm you can ride your bike, carpool or walk down and experience what this great neighborhood has to offer. Stands ranging from the Roanoke Natural Foods Co-Op to Ride Solutions to Blossom Raw Foods will be there. 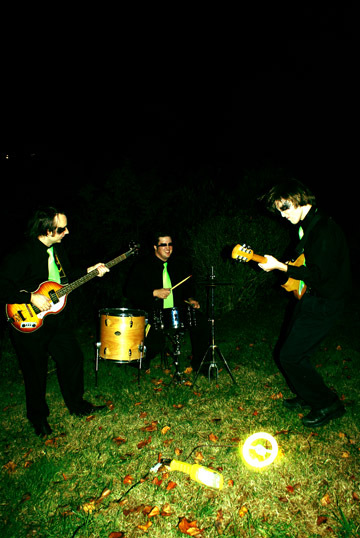 Also performing will be Another Roadside Attraction busking up and down the street for you musical pleasure! Get out today and get some sun! 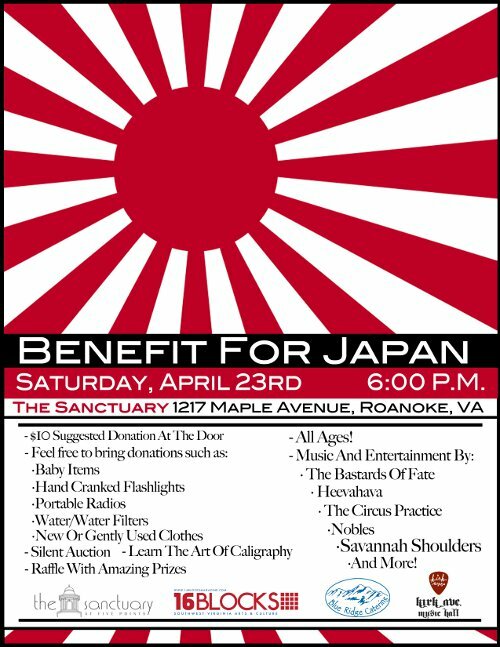 Later on tonight at the Sanctuary at Five Points is a 16 Blocks Magazine sponsored benefit for the Japan tsunami/ earthquake relief fund. Starting at 6pm and featuring a ton of bands this event will offer music, raffles, a silent auction and more! There is a suggested $10 donation at the door and feel free to bring any donations for the relief fund. Also happening tonight at the Bazaar is Marley Thorn with Just Marshall. The Rocky Mount band visits the Bazaar playing their blend of psychedelic pop music reminiscent of the Elephant 6 sound. Roanoke singer/songwriter (Nancy & 2 Meteors front man, drummer of the Missionaries and leader of icon Roanoke punk outfit the Makeout) Marshall Hicks will be playing a set of acoustic songs under his moniker Just Marshall. Come out to this tonight at 9pm! $5!